You can use GPS location determination to see which campsites and motorhome pitches are near you. Use the small flag to manually enter your location Read more to find a campsite or motorhome pitch close to your next destination. You can also search by the name of the campsite, and by the name of the place or region. Our campsite or motorhome pitch information is extensive and objective. 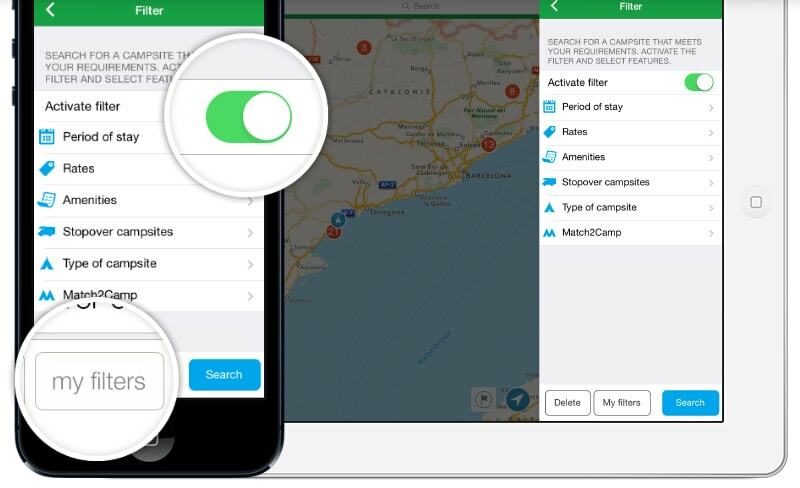 You can install filters enabling you to select a campsite that meets your needs. Read more For example, a ‘stopover campsite’, with a rate of ’14 euros a night’ and with the amenity ‘(heated) indoor swimming pool’. 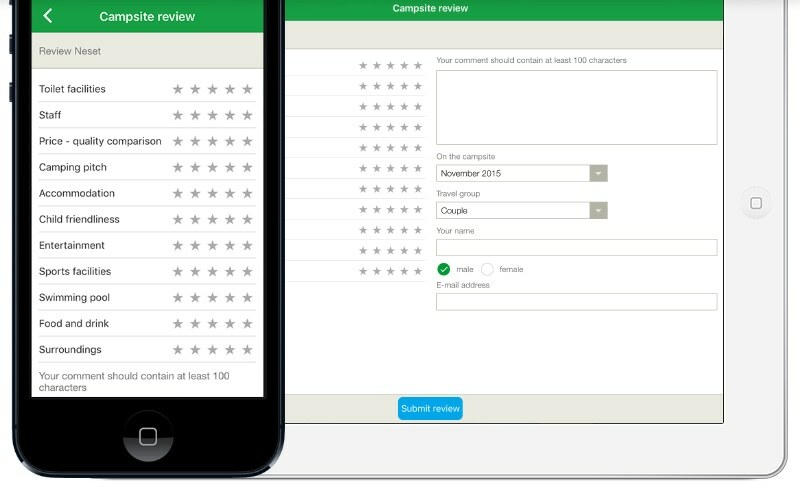 You can read reviews by other campers in the app, but you can also fill out a review yourself. No internet connection? No Read more problem; the app will store your review until you once again have an internet connection. You can add a campsite or motorhome pitch to your favourites. By doing so you will compile a list of the campsites and motorhome pitches you find interesting. Read more It’s really easy: press on the small heart on the top right of a campsite page. You can use the menu in ‘Favourites’ to view campsites quickly. Useful to access reviews and distances to campsites. And use it offline. Easy to use and see sites nearby with enough information to make choices. Great you can just tap the map for campsites nearby, and great reviews. 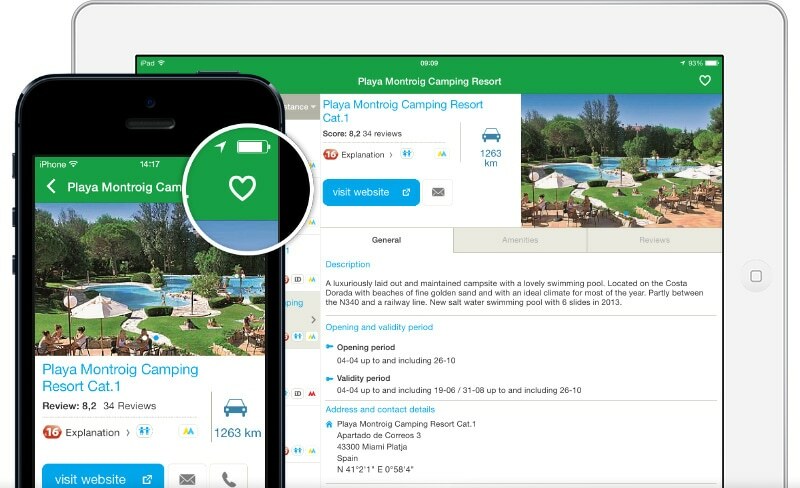 The CampingCard ACSI app is easy to use and helps you search quickly for a suitable campsite close by. Would you like to know more about how the app works? Campsite information to hand anytime, anywhere! You can combine it with the ACSI CampingCard & Camperplaatsengids for access to more than 9,000 inspected motorhome pitches. 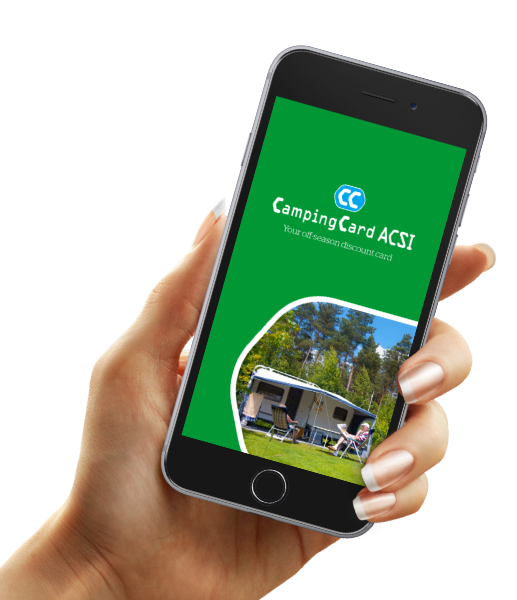 *The app can only be used in combination with a genuine, valid CampingCard ACSI discount card and is available in 13 languages. You can use the app for one calendar year -1 January to 31 December- just like the discount card.